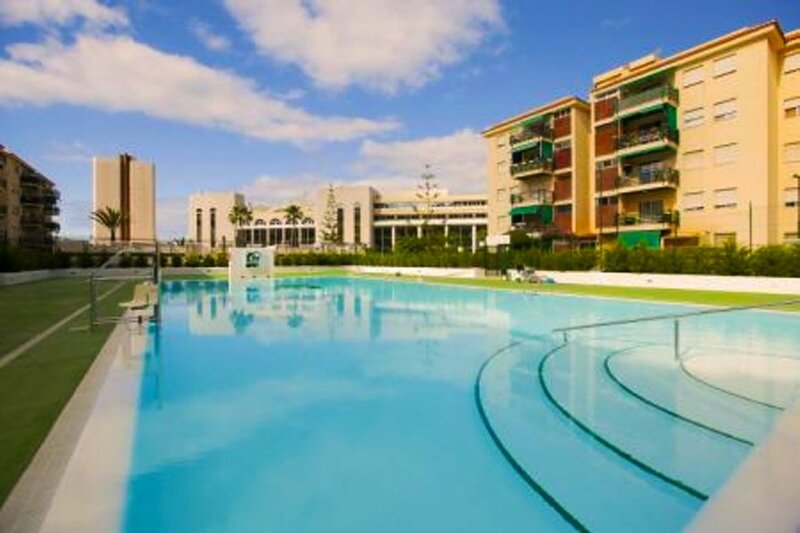 This 3 bedroom apartment with swimming pool is located in Los Cristianos and sleeps 8 people. just 10 minutes walk from the Las Vistas beach, It has a living room, a fully equipped kitchen, three bedrooms, two bathrooms with showers and one large balcony where you can enjoy a romantic dinner. In the living-room, you will find a big flatscreen TV to keep the kids entertained and a dining area. The sofa-bed transforms into a really comfortable double bed. This apartment was fully renovated in 2015 and is set on a 1st floor with elevator. The complex swimming pool has a special lift for disabled people and a Tennis Court. Just in front of the complex you'll find a supermarket. This apartment has everything you will need for the greatest vacations ever. Los Cristianos it's a village buzzing with shops, boutiques, bars, restaurants, cafés, and nightclubs on the seafront. In the daytime, the best idea is to chill out at the beach and take a dip with the family or just lie down in the sun. Don't miss the spectacle of the sunset with a view towards the island of La Gomera. The array of colors as the sun disappears into the ocean combined with the sea breeze on the promenade make this a truly unforgettable moment. The Ocean here is home to several colonies of whales and dolphins which can be sighted on a boat trip that you can book with a range of different companies. If you are coming in search of a family adventure or some fun with friends, the Siam Water Park is the perfect place: Its artificial wave pools and its water slide with a 28 m (92 ft) vertical drop will get even the most daring visitors buzzing with adrenaline. The Aqualand water park with its dolphinarium has a variety of attractions for all family. Animal lovers will find Jungle Park the best place to spend the day. It's a great place for you to discover this lovely island, its magnificent beaches, and fantastic landscapes. It's a self-catering apartment.